Steven Taylor’s all-round effort enabled the USA to register a 2-1 series win over an insipid UAE. With the ODI series tied at 1-1, the winner of the third match would go on to claim the trophy. Rain played spoil-sport and reduced the 50-over game to just 43 overs. 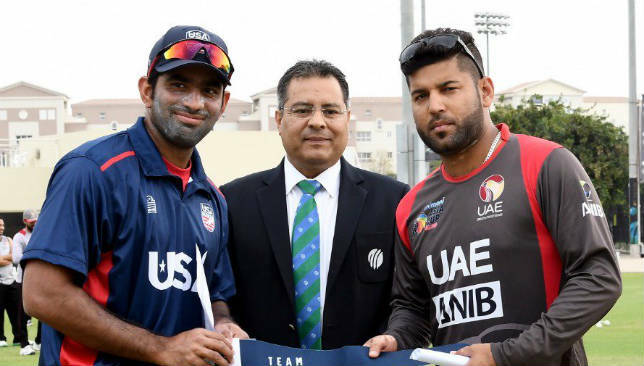 The UAE managed to put just 143 runs on the board and the US had no trouble chasing it down. Put in to bat first after losing the toss, the hosts failed to get off to a good start. Ali Khan and Taylor impressed with the ball to keep the UAE’s middle-order in check and ensure that they were restricted to a measly total. Taylor registered figures of 5/26 in the nine overs he bowled, while Khan impressed with a 3/29. A majestic all-round performance from Steven Taylor & telling contributions from Monank Patel + Ali Khan leads USA to a famous 2-1 series win over UAE in Dubai! Muhammad Usman was the UAE’s top scorer with 45 runs, but his team-mates failed to provide any support and eventually succumbed by the end of the 38th over. The visitors got off to a steady start, with Xavier Marshall and Monank Patel putting on 31 runs for the first wicket. Once Marshall was sent back to the pavilion by Ahmed Raza, Taylor walked in to finish the job that he started in the first innings. Both Patel and Taylor reached their half-centuries comfortably and saw the match off without losing their wicket. Taylor was the top scorer for the US, managing to garner 68 runs as he helped his team wrap up the series. Test cricket has been in the news for two varying reasons – a surge in enthralling results and also a few proposals to spice things up. Even as the West Indies crushed England at home to secure a dramatic Test series win with the help of a potent pace attack and Sri Lanka stunned South Africa in their backyard in one of the most dramatic results in Test history, International Cricket Council chief Shashank Manohar stated that the format is dying in many markets. Recently, the MCC – custodians of the laws of the game – came up with proposals to ‘improve’ Test cricket. Those included standard balls, free hits for no-balls and a shot clock like tennis to improve over-rates. The game is already set for a major change with the Test Championship set to begin in the middle of the year, giving context to every bilateral encounter from here on. With numerous changes happening and being proposed, it seems like Test cricket is in a desperate situation and needs to be rescued. 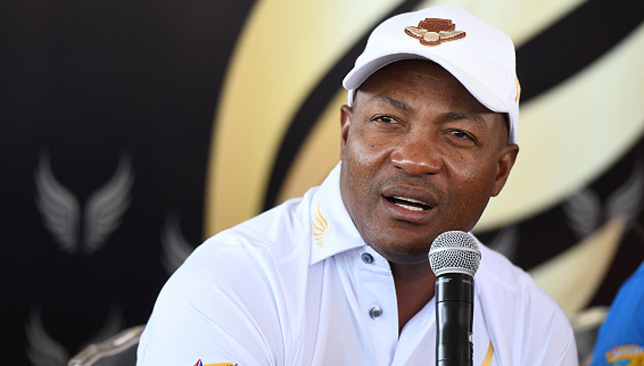 But former West Indies skipper and iconic batsman Brian Lara believes the custodians of the game only need to concentrate on ensuring that there are no dead games. According to him, once fans know that Tests will be competitive and that a result will be had, they will come back to the longest format sooner rather than later. Speaking to Sport360 at the Global Education and Skills Forum in Dubai, Lara said ensuring results should be the main mission of those who want to improve the longest format. “The most important thing about Test cricket is that you have got to try to get a result every single time,” Lara said. Lara believes if fans know that a Test is going to produce a result, they will show up in good numbers. 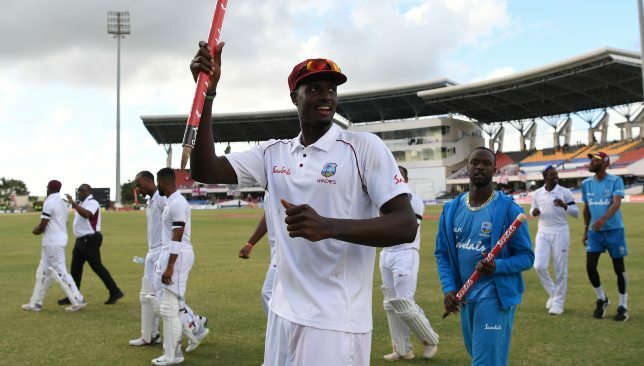 Jason Holder led the West Indies to a historic Test series win over England. “The first day of a Test is always an interesting day. You see crowds come out and if the Test is heading for a result, you see them come out again. I saw it against Australia in Barbados in 1999; a packed house, 15,000, last day and last session of a Test. So creating excitement, creating results, making sure the spectator knows something is going to happen in the Test is going to bring the crowd back in. “There are talks of bringing it down to four days, free hits… just make sure each Test has a result. Everybody has to play the way they should. It’s like you got to watch an ODI or T20, at the end of the day the spectator is going to walk away either disappointed that his team has lost or happy that his team has won,” the southpaw added. The recent successes of teams like West Indies and Sri Lanka against heavyweights in Tests has reignited interest in the format in those countries. While only a handful of Test nations were previously expected to be competitive, now the playing field is a lot more level with results no longer a foregone conclusion. Lara is proud of the fact that the Windies – who had been in a downward spiral in Test cricket for the best part of two decades and had lost the the cream of top players to T20 cricket – have shown the ability to compete with the best in the toughest format. “Games had become one sided. The West Indies were the powerhouses in the 1970s and 80s, and we spiralled downwards and we weren’t very competitive. But when teams like Sri Lanka and West Indies start beating opposition, you get interest back. “The interest in West Indies cricket after that series against England is tremendous. Everybody is upbeat. My West Indies friends living in England are walking with their heads held high. These one-sided games had destroyed cricket a little bit. Now you have teams that are more competitive. All people from those countries are now back interested, knowing they have a chance,” the Trinidadian explained. However, the great batsman – who still holds the record for the highest Test score of 400 – says the Windies need to get strong at home and then look to start winning away. Only that can it be termed a true revival of Caribbean cricket. “This is a process. It’s not like we are back again. The West Indies are going to be strong at home. We showed that against England. India are coming in July, that is going to be a good opportunity. If we can put one on India at home, it will give us some resolve. I still believe travelling is going to be a problem. Pakistan are in danger of losing the series already – but at the very least they need a positive performance. 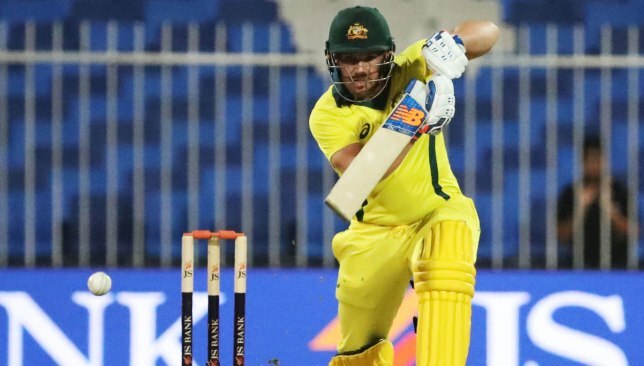 With the World Cup in England a mere two months away, consecutive defeats to an Aaron Finch-inspired Australia – both by eight wickets – have proven dispiriting at the very least, even without the services of captain Sarfraz Ahmed. Australia have made two changes for the third game of the five-match series, with Nathan Coulter-Nile and the injured Jhye Richardson replaced by Jason Behrendorff and Pat Cummins. Paksitan have also made two changes to their pace battery – Junaid Khan and Usman Shinwari in for Mohammad Abbas and Faheem Ashraf. Check out the live ball-by-ball updates below from Abu Dhabi.